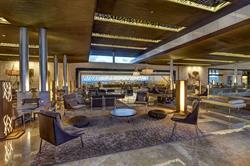 CANCUN, MEXICO--(Marketwired - October 05, 2015) - This September, Royalton Riviera Cancun was awarded second place in the Annual National Prize in Architecture and Interiors, handed out by the Asociación de Arquitectos E Interioristas Mexico (AAI). Royalton Riviera Cancun is the only all-inclusive to ever make the shortlist since this award's inception. Royalton Riviera Cancun's outstanding architecture created by Zyman & Zyman is made complete with sophisticated lighting and regal décor. Submissions for this Annual National Prize were accepted in six categories: residential, commercial, corporate, restaurant, hotel and recreational spaces. To be eligible to win, designers were required to submit blueprints, graphic material and a brief description highlighting key unique features. All buildings had to be existing, therefore not conceptual, and constructed in accordance with building codes. Royalton Riviera Cancun was one of four hotels entered into competition. "This award is a testament to the talent of Royalton Riviera Cancun's architects Zyman & Zyman who have masterfully combined beauty and functionality," said Jordi Pelfort, Managing Director of Blue Diamond Resorts. "For a resort of over one-thousand guest rooms, that is no easy feat." Royalton Riviera Cancun blends the Yucatan Peninsula's unique culture with a luxury product featuring the highest quality service and attention to detail. 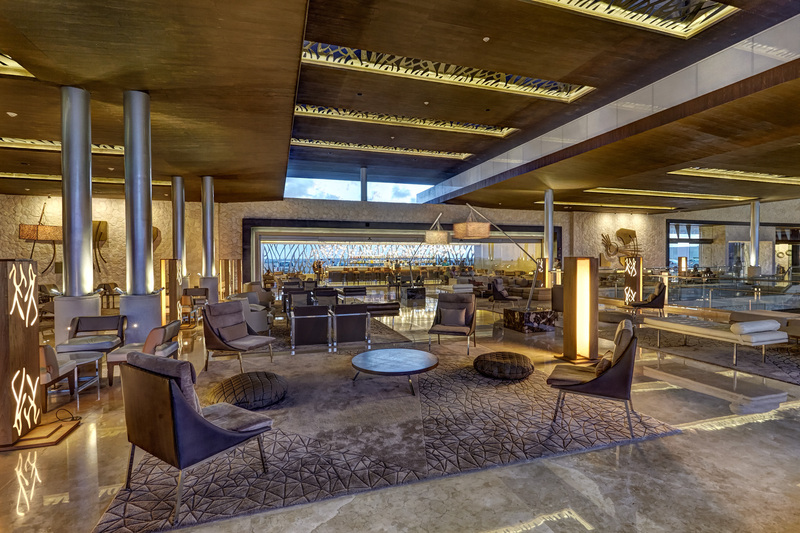 The sophisticated resort's awe-inspiring lobby is open-concept and elevated to overlook the natural ambience of sea and sand, as well as allowing warm tropical air to flow freely. This resort offers discerning guests luxurious accommodations, world-class dining, superior entertainment and All-In Connectivity™ to share a visually stunning and unforgettable stay. For more information or to book your next vacation, visit www.royaltonresorts.com/en/riviera-cancun or contact your travel agent. Epitomizing sophisticated indulgence, Royalton Luxury Resorts offer All-In Luxury™ vacations in some of the world's most popular tropical destinations, including Jamaica, the Dominican Republic, Mexico and Cuba. Boasting an array of world-class all inclusive features including the premium, handcrafted DreamBed™, unlimited reservation-free luxury dining, around-the-clock concierge, 'All-In Connectivity' with complimentary WiFi, in room long distance calling, a Sports Event Guarantee, and more. Confirmed leaders in luxury resort experiences, the brand has won numerous accolades. Most recently Royalton Cayo Santa Maria was recognized as the #1 All Inclusive Resort in the World at the TripAdvisor Travelers Choice 2014 Awards.